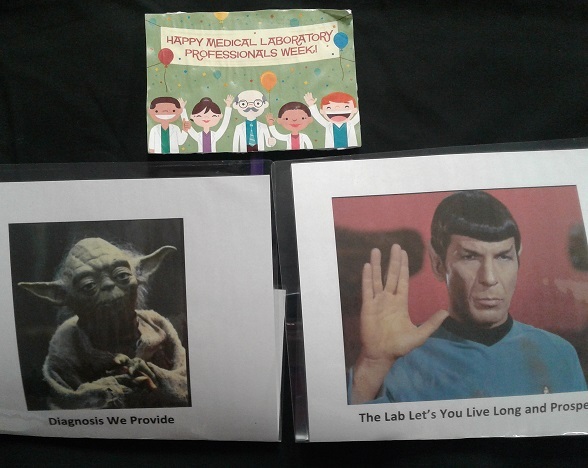 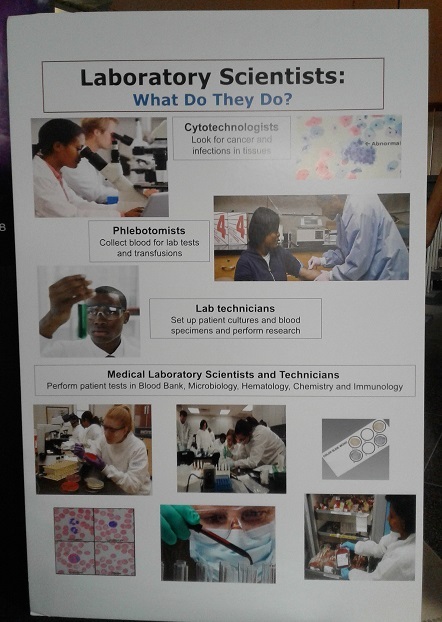 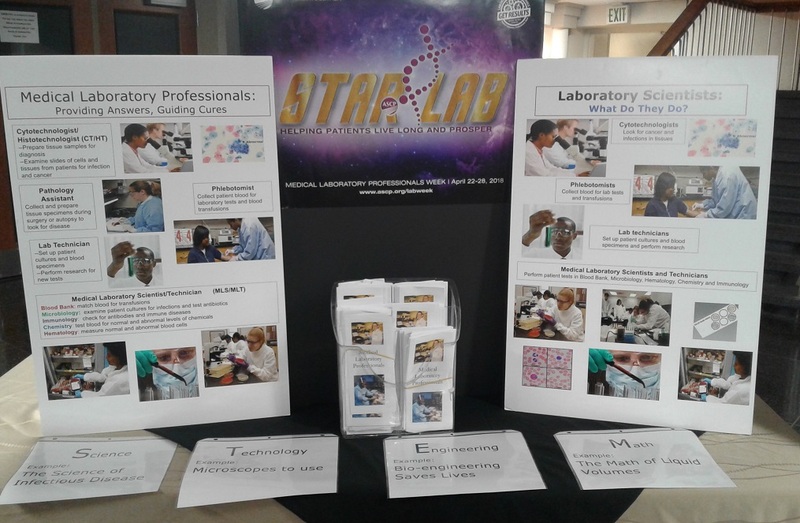 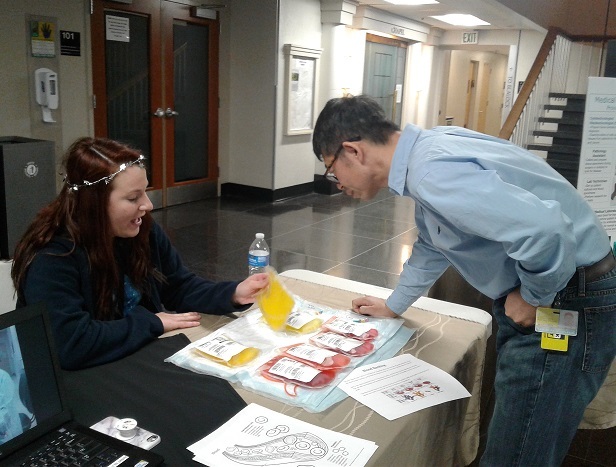 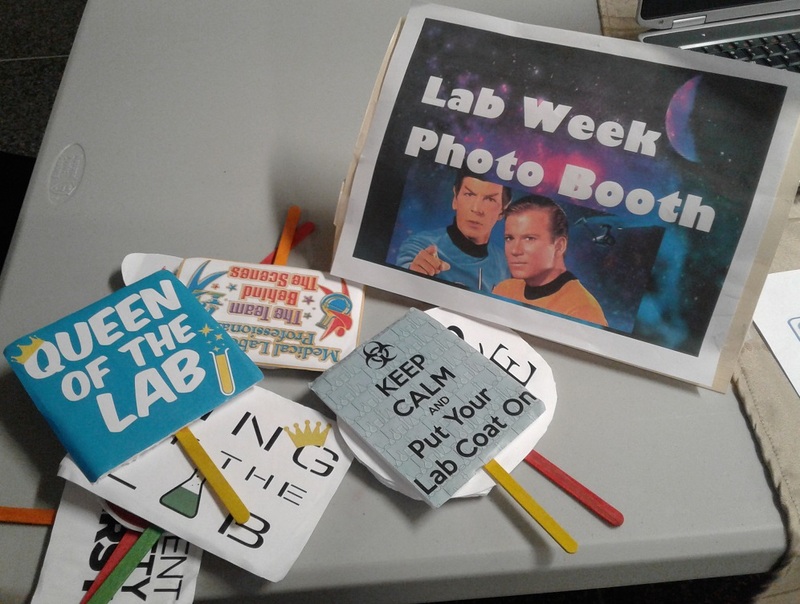 During Lab Week 2018, visitors to Johns Hopkins Hospital, patients and their families and friends, visitors and employees enjoyed a unique and fun way to learn about medical laboratory professionals at the galaxy-themed tables outside the cafeteria. 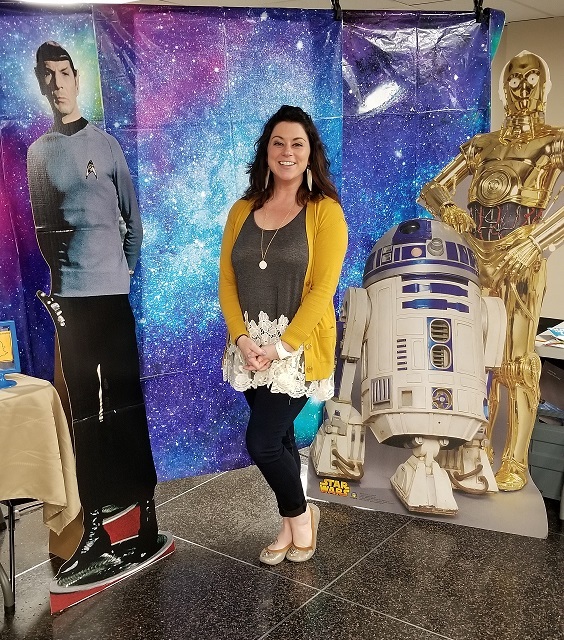 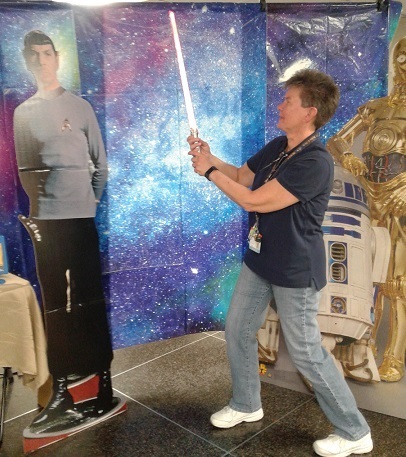 On display were some striking educational posters, puzzles and tattoos for kids, an exceptional “smells” microbiology exhibition, replicas of blood bank units, and more, plus everybody could get their picture taken with Dr. Spock and R2-D2 and C-3PO. 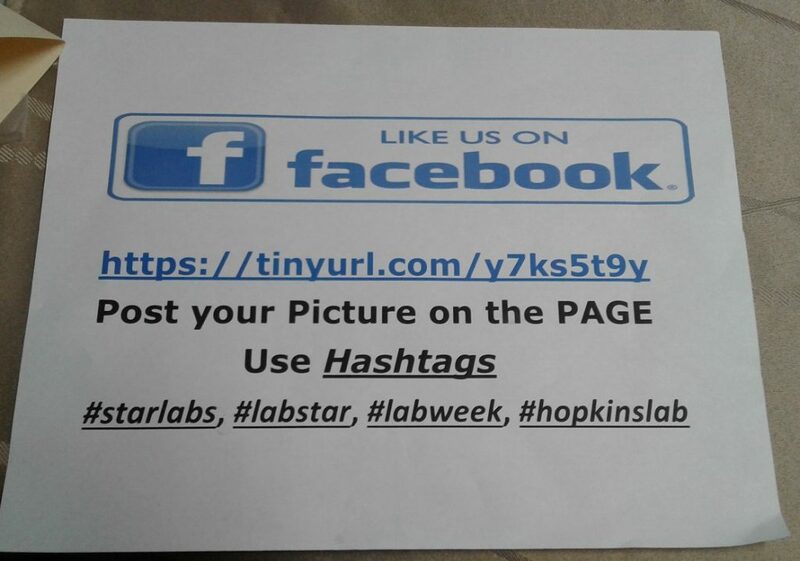 Some people posted their picture to a newly created Facebook page. 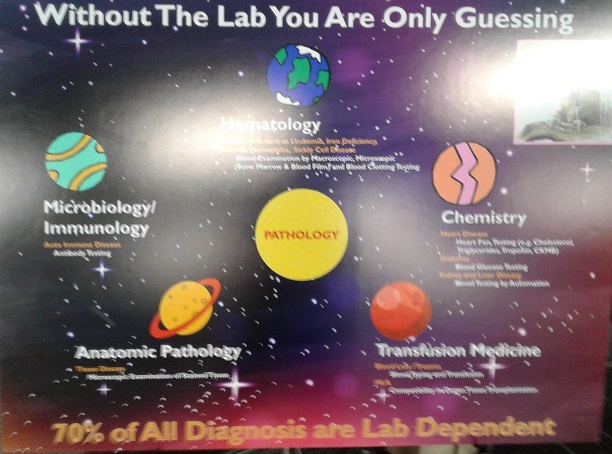 People are quite familiar with doctors, nurses, physician assistants, physical therapists, and medical assistants, but the fact is that most people do not know much about the medical laboratory profession because of their behind-the-scenes work, with the exception of phlebotomists. 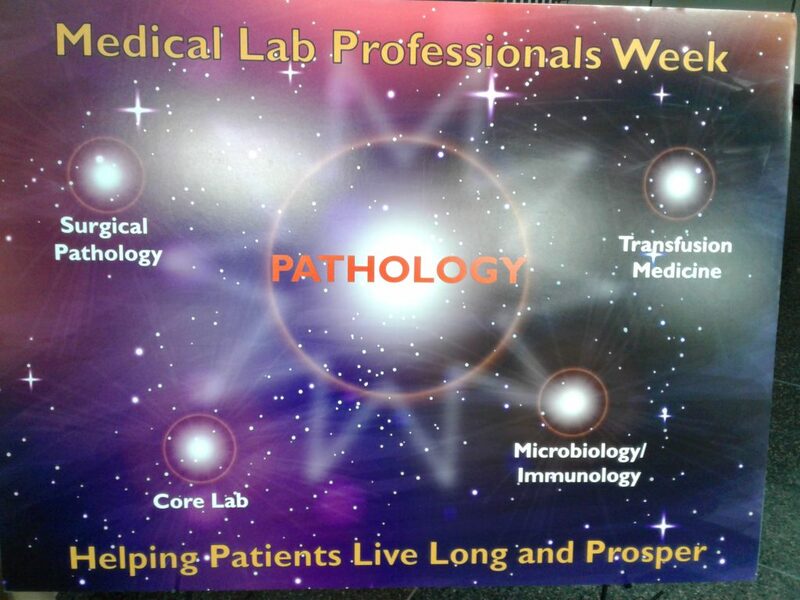 The valuable work of medical laboratory technicians, medical laboratory scientists, cytotechnologists, histologic technicians, histotechnologists, and pathologist assistants is simply not well publicized. 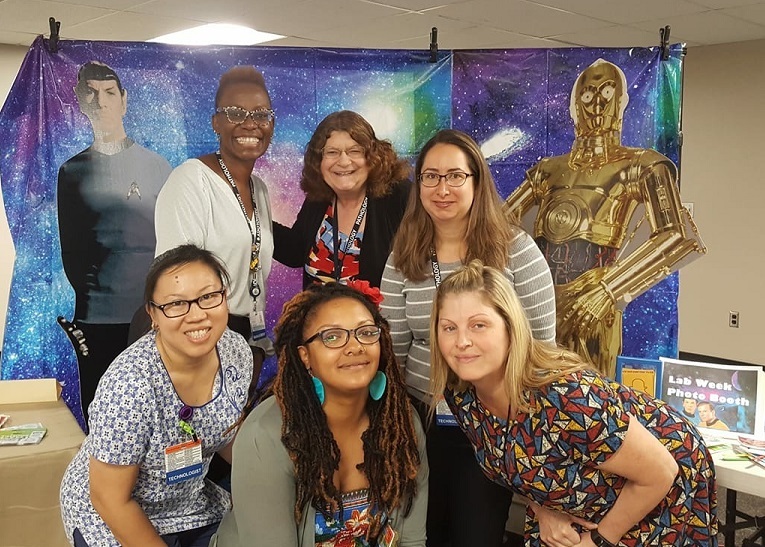 Lab Manager Amelia (Ame’) Maters Retires!